Ayesha Khalid 8 months, 3 weeks ago. I read your articles and they are too good. Your way of providing guidance is amazing. I want your help. Test anxiety, teachers, and parents think that such a term doesn’t even exist for the students who have studied hard, but I have faced it and I am a very good student. It starts with the sweating on my hands and reaches to the level where my mind blackout as soon as I see the paper. 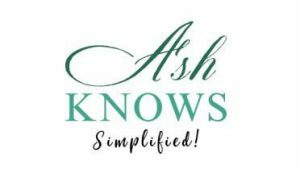 So what do you think Ash how should a student deal with it and moreover how should teachers and parents help the student in successfully dealing with the test anxiety? Let’s come towards your topic. See, text-anxiety is something that we all have experienced in our lives. The thing is, some people are good at controlling this feeling while the others find it difficult. But, it does not mean that we just let this anxiety overpower us each and every time we sit for writing an exam. 1. Try to manage your syllabus wisely. 2. Develop good strategies for learning and revising your course. 3. Have fresh juice and fruits before leaving home. This will reduce your stress and exam tension. 4. Enter the examination hall with confidence. See, one major factor of test anxiety is when you are not fully prepared for your exam. So, just remember that, if you have not prepared your syllabus, there’s no magic going to happen in your exam. The test anxiety is obvious in that case. But, this is not your case. As you said, you study hard for your exam but nervousness overwhelm you while writing the exam. Yeah? 5. In this situation, you just need to trust yourself. Keep reminding yourself that “All is well” (you know Bollywood style :D). 6. Plus, give yourself some time before starting the exam. Read the question paper first and mark the questions that you know. 7. Develop a relaxed state of mind and do not think anything else in mind while attempting the exam. Concentrate completely on your exam. Do not fear about the outcome of the exam. Another cause of test anxiety is the fear of failure. Believe me, you can do wonders in your result just stop fearing failure. Trust your potential and your preparation because as I always say, if you don’t then who will do it for you? Try the above mentioned tips and come back to tell me that you got success in overcoming your anxiety this time. I’ll wait for you! Chocolate does wonders, no doubt! 🙂 Pikachu, you may also include eating a chocolate before the exam in the above listed tips.